Microsoft used the keynote in the SOA & Business Process Conference in Redmond to present its vision on the future of Service Oriented Architecture on the Microsoft platform. That vision and the wave of technology that will come with it, is codenamed "Oslo". MVP Charles Young has a solid write up in a blog post called "Microsoft 'Oslo' - the vNext SOA platform". No need to repeat all that here. Long time Microsoft watcher Mary Jo Foley is very critical in her post called "Microsoft talks SOA futures but not dates". Mary Jo ends with "Microsoft has been struggling to prove to the market that it has a real SOA strategy. While the Redmondians are talking the right talk, the company is still a ways away from walking the SOA walk. Will customers wait or run off with other SOA vendors before Microsoft rolls out more than just a piecemeal SOA strategy?" 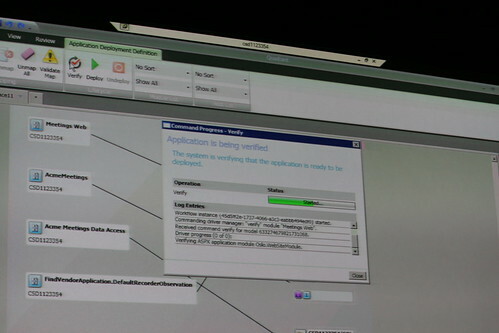 Some of the stuff presented reminded me of the grand WinFX, especially WinFS, vision that Microsoft presented at PDC03. We all know that WinFS never RTM-ed, despite enormous effort (many, many man years) put into it by Microsoft. 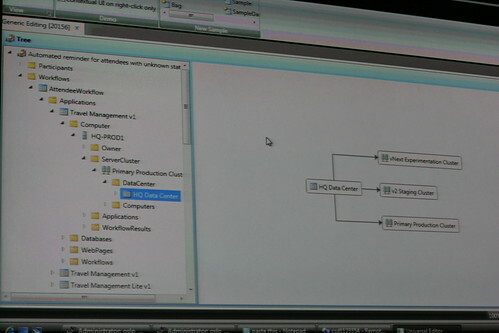 Especially the term "Universal Editor" for the "Oslo" integrated modeling tool gave me the creeps. Sounds too much like: One tool to rules them all. One tool that spans the entire application development lifecycle: from its inception to its deployment. 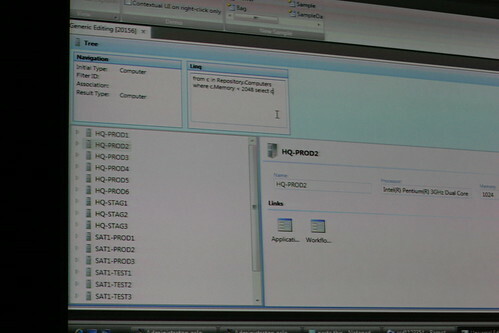 Posted in .NET, Architecture and Design, Oslo, Work on October 30, 2007 by Erwyn.